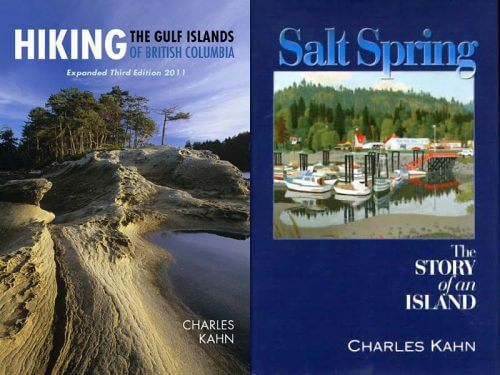 Perhaps no one knows Salt Spring Island as intimately as Charles Kahn. He might well have covered more of the island on foot than any other person. As the author of Hiking the Gulf Island, Charles is well acquainted with the Gulf Islands’ roads, trails, hills and fields. If you are interested in following in Charles’ many footsteps across our island, his book is the undisputed ‘bible’ for both experienced and novice hikers. 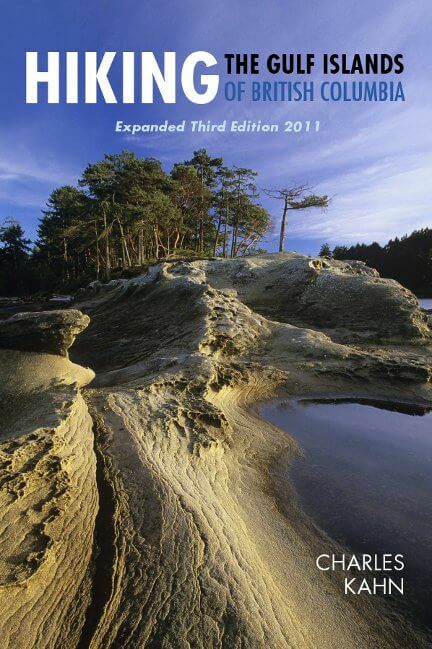 The book covers hiking trails on all Gulf Islands, including Salt Spring. 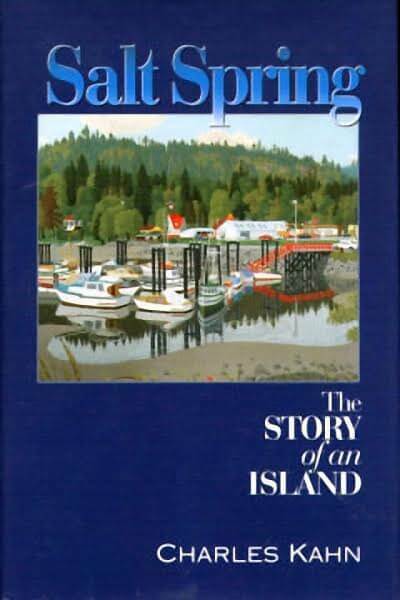 And Charles Kahn’s book Salt Spring, The Story of An Island should be on every book shelf in every house on Salt Spring. Starting with the earliest history of First Nations people, through Hawaiian, caucasian and Japanese settlements, this book is a treasure trove of stories. You can read about when land on this island was 5 shillings an acre and about the hardships faced by early settlers from Fulford to Vesuvius.Even as early as 1859 Salt Spring was home to refugees – African Americans escaping oppression south of the border. The island has also been home to bootleggers, spiritual leaders, and many colourful characters throughout the years. Ghost stories, (almost) cannibal stories, the origins of our island’s schools and churches and other landmarks are all part of this fascinating read. The historic stories and photos bring meaning to so many names of lakes and roads while time lines put events into a logical order. Kahn’s stories are fun to read and contributions by other local figures make this a comprehensive history of the island. From the very first maps and petroglyphs in Drummond Park, right up to the 2000’s with still popular events like the Saturday Market and the Raging Grannies.